The National Association of Tower Erectors (NATE) has announced the formal establishment of an Unmanned Aerial Systems (UAS) Committee. The newly minted committee will be tasked with monitoring the trends and regulatory environment associated with rapidly evolving UAS technologies and making recommendations to NATE members and the wireless infrastructure community on best practices when it comes to UAS integration. The committee will also focus on collaborating with federal agencies and interested stakeholders in the development of guidelines to promote the safe commercial and private use of these systems. “Through the establishment of the UAS Committee, NATE is once again demonstrating our leadership in the industry by playing a pro-active role in the emerging technologies surrounding Unmanned Aerial Systems,” said Executive Director Todd Schlekeway. “There is no question that UAS technologies, if integrated appropriately, can play a supplemental role in enhancing safety and quality in the industry as well as contribute to the vital economic, public safety and national security benefits associated with broadband network deployments in the United States,” added Schlekeway. The UAS Committee has been actively participating in the recent National Telecommunications Information Administration (NTIA) stakeholder meetings on Unmanned Aerial Systems that have been held in Washington, D.C. The committee plans to continue this dialogue with NTIA officials, the Federal Aviation Administration, policy makers, regulators and stakeholders to ensure that the wireless infrastructure industry’s priorities remain at the forefront of the conversation as key decisions are made regarding this technology. 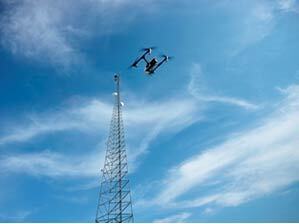 “I believe that implementing the use of drones and remote sensors in tower operations will ultimately provide benefits to NATE members and the industry by improving safety and operational efficiencies,” stated Greg Emerick from Sentera. “NATE has again demonstrated that it is an influential thought leader on an important topic,” emphasized Emerick. The UAS Committee has pledged to be a source of information by providing timely updates to NATE members and industry stakeholders as key developments emerge in the landscape surrounding Unmanned Aerial Systems. 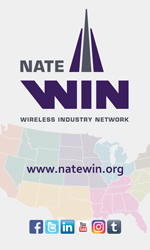 For information regarding NATE, visit www.natehome.com.